Thanks to El Niño , this winter has been mostly mild in the Midwest and Northeast while chilly air has been limited to areas west of the Rockies. That's all changing this week and into the weekend, which could make for a cold Valentine's Day across parts of the U.S. So far this winter, it's been mild across most of the northern half of the country and a little cooler and wetter in the southern half. 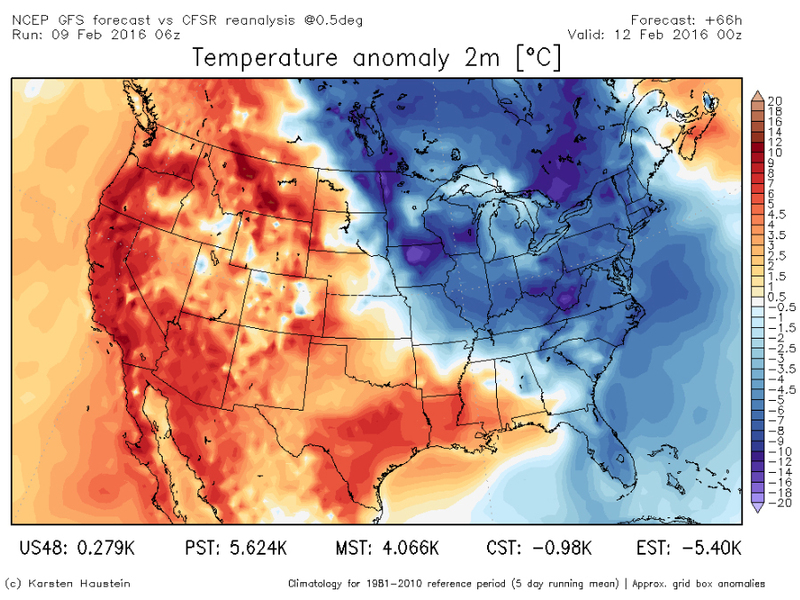 This colder air has already begun to march its way across the Midwest, and it'll continue moving into the Northeast and parts of the Southeast. 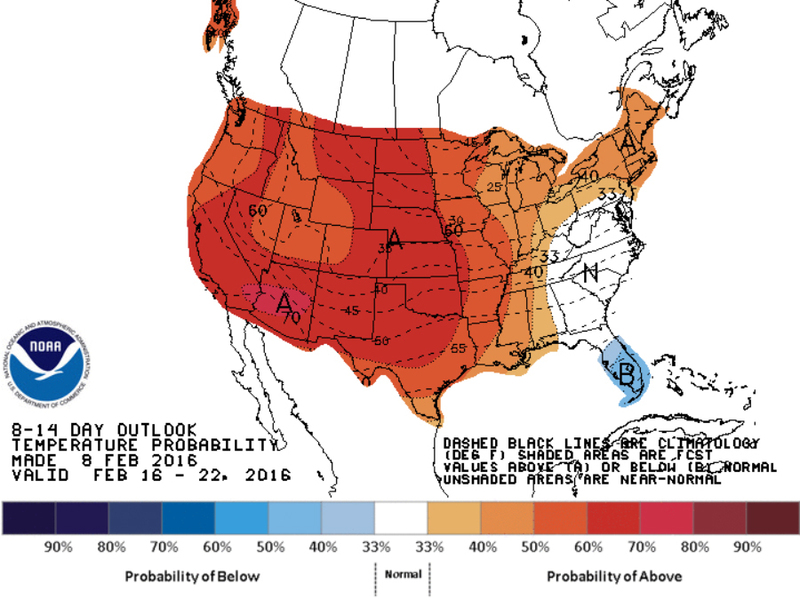 This different pattern could hold for at least a week with long-term forecast models bringing milder air back to most of the country by the beginning and middle of next week. No matter how cold it may get the rest of this week and into the weekend, there's no way it'll be as cold as it was 117 years ago when every state in the Union had temperatures dip below 0 degrees!